Almost seven million Rwandans are ready to cast their vote for the 2017 presidential elections. The National Electoral Commission (NEC) has announced that everything is in place. NEC also assured Rwandans that the they would know the outcome of the polls on the evening of Friday, August 4, 2017. According to NEC, 6,897,076 Rwandans are expected to vote, spending Rwf6.22 billion, compared to the budget of August 9, 2010’s election when 5,718,492 Rwandans voted spending Rwf 8.5m. For some reason all elections have been held in August. 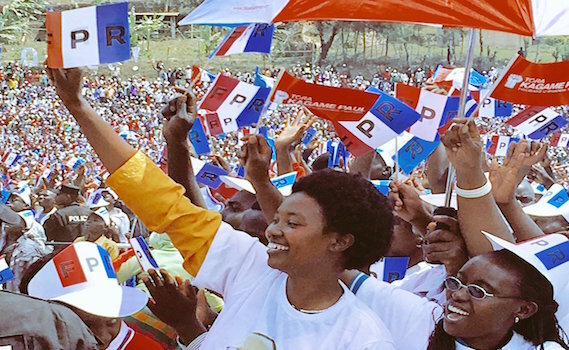 In 2003, elections were held in August 25, with a budget of Rwf3.5 billion on 3,948,749 voters. Meanwhile, a breakdown of voters this year is seen as follows. Women make 54% of the total voters compared to 46% men. The youth make 45% of the total. There are 2424 polling stations and 16691 voting rooms, while the diaspora, which has the smallest number of voters (0.592 %), has 98 sites across the world.